Yup. Way to go, BBC. Apparently after sending the scripts to BBC Worldwide in Miami, to be translated for Latin American viewers, the scripts were lost. But that’s okay because they were later found… ON THE INTERNET. Unfortunately this isn’t the first time a slip up like this has happened. The week before the first episode of the revival series, Rose, aired, it found its way online. Last year a wayward email to loudmouth superfan Ian Levine detailed Matt’s departure, along with the current plans for series 8, necessitating that the BBC make an early announcement on the Time Lord’s departure. Also last year, BBC America sent me an early copy of the Series 7B box set a week before the finale The Name of the Doctor had even aired, which I then posted pictures of on both my Instagram and Tumblr feeds, making just about every DW site on the net halt their comments sections. Oddly I was the only one who received the episode early for a few days (before some 800 others received their copies), but I refused to leak it online. That’s a story for another day I suppose. Today the first 5 eps have essentially leaked! All but the visuals anyway. The BBC has asked that fans don’t spoil anything. I don’t plan to give away any plot spoilers anyway, but I probably will read them. See how the episodes compare to the script (my rationalizing that I’ll be less disappointed than I usually am with book-to-movie adaptions haha). That being said, I do plan to release the episode title information and length, so bear with me. I don’t find that any are particularly spoilery titles (except perhaps the second), so if you don’t wish to be spoiled, don’t read further or look at the images below. I personally see no harm in revealing the title pages. 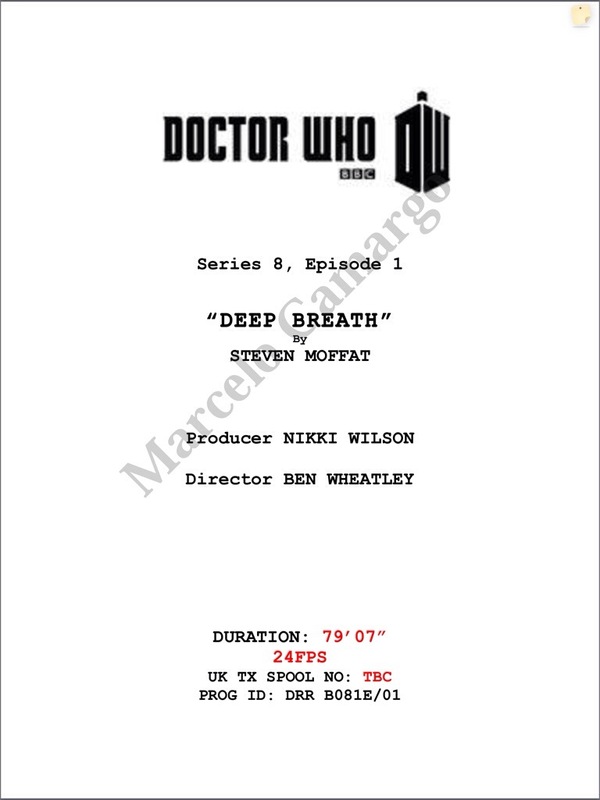 The first episode we knew to be called Deep Breath for a week now, and the BBC have stated it’ll be “feature-length”. This could have meant anywhere between 60-75 minutes based on what past definitions of “feature-length” have entailed. 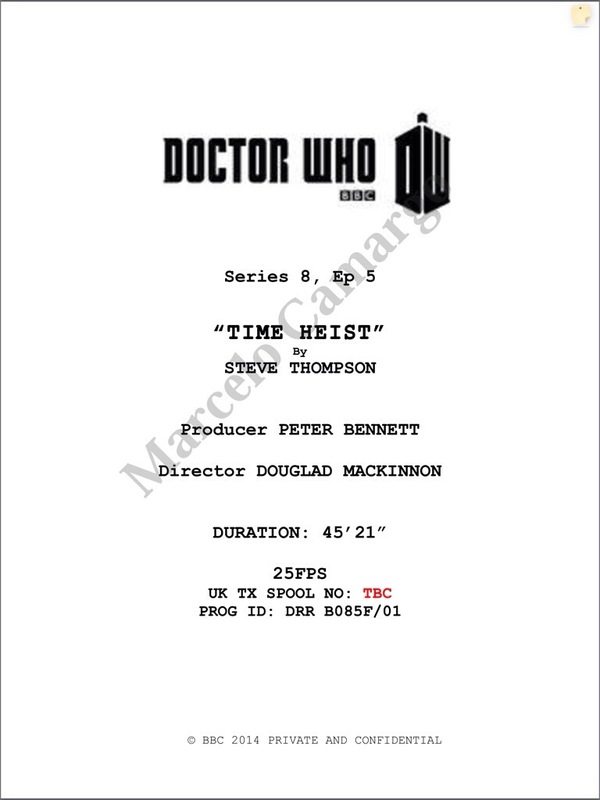 Well, according to the script, the actual length is 79 minutes and 7 seconds which is longer than any single episode we’ve ever had, classic or new, barring the 1996 TV Movie and the 20th Anniversary special The Five Doctors. 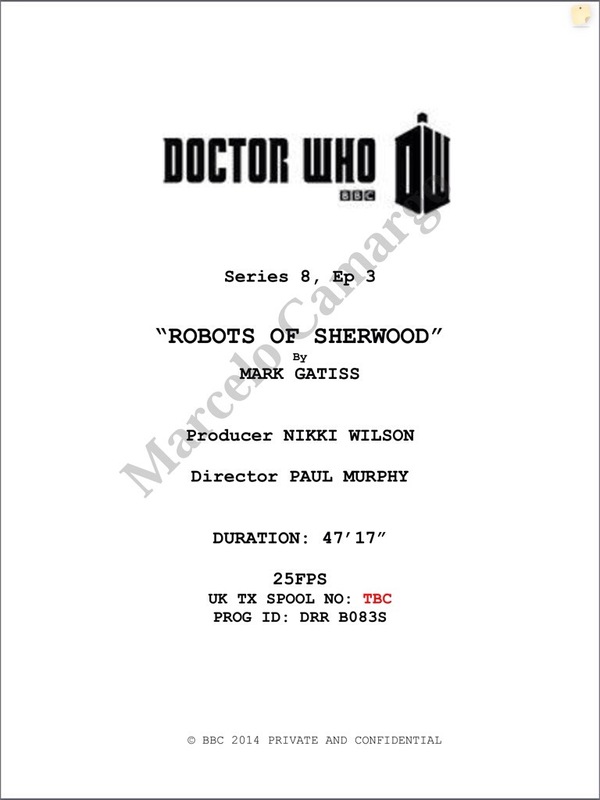 After that, the next few episodes will be titled Into the Dalek, Robots of Sherwood, Listen, & Time Heist. 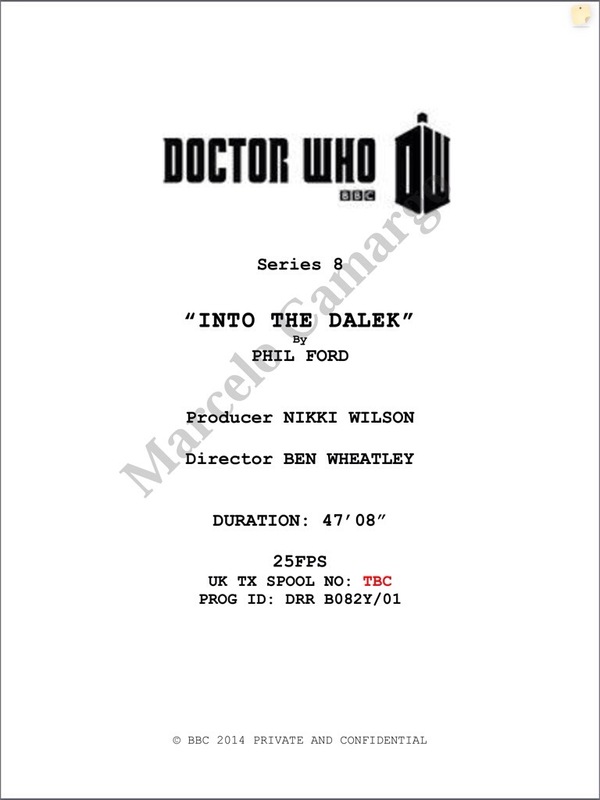 More information on each episode on the script covers below. Thanks for posting, it’s good to know the circumstances of what happened without spoilers. I’m not gonna look for them. I wanna be surprised when the episodes are released. I looked at spoilers when Order of the phoenix was coming out and there was little shock value, and Sirius’ death wasn’t as …. Effective (affecting?) as it should have been. I don’t want to be spoilt either. I am going to the Doctor Who World Tour in Cardiff when I am on holiday and I can’t wait to see the first episode! That’s gonna be so sick! I understand your sentiments. The vast majority of fans will agree with you on that front. I won’t post any plot points or anything – just the episode titles. I just think it’s a shame that others wish to exploit a mistake the bbc have made. Good on you for not sharing it more! I’ve had plenty of practice at keeping BBC’s secrets..
Well, as I replied to another user, I stay away from any major (or minor) spoilers, and when I do post anything spoilery I give the reader a heads up ahead of time. In the case of this article, the purpose of my content wasn’t to unveil the plot of any story. I do, however, name the first five episodes and talk about their length of time. Sorry about any confusion. Hope I didn’t worry you too much! LOL I meant I won’t go finding them! I do make sure to stay away from any spoilers for those who don’t wish to be spoiled, and I usually tell the reader where the spoilers begin. In this case I explained I’d just unveil the first five episode titles. I will not go into the contents of any plot. Sorry about the confusion! Were CAN we read them? Looking for them if you can help. Thanks! You can look for torrents that carry them. You won’t find it anywhere else due to the BBC taking it down. That reminds me of what happened with Book 3 of Legend of Korra. The first 6 episodes were leaked whilst being translated… in Latin America. Dun dun dunnnn. Trend? Yes. And that was pretty recent too. Strange.